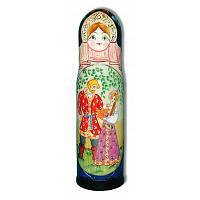 Wooden bottle case depicting a Russian couple on a date in winter. 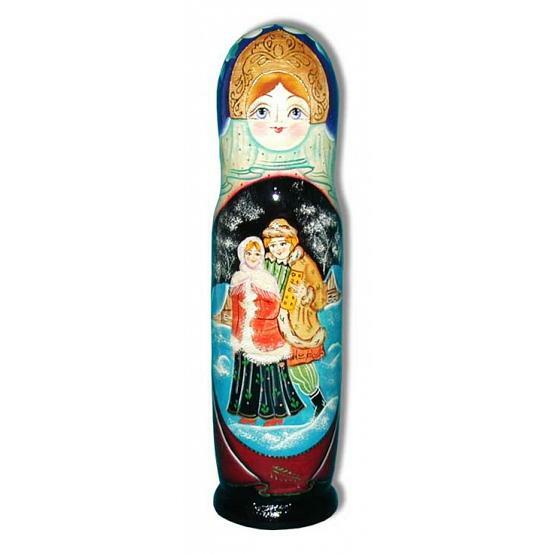 Height: 12.2" (31 cm). Imported from Moscow, Russia. Ships within 7 business days.